Discover the ideal complement to your patio with oven-like performance from Napoleon Grills. 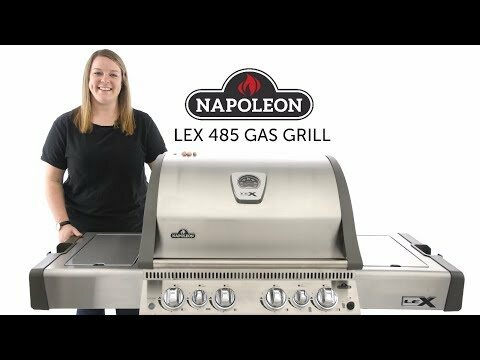 The Napoleon LEX 485 (formerly known as Mirage 485) freestanding natural gas grill has four stainless steel tube burners that provide up to 48,000 BTUs of cooking power. This 29 1/2-inch built-in grill has 485 square inches of main cooking area and 190 square inches of warming area for a total of 675 square inches of cooking area. The Napoleon electronic Jetfire ignition with crossover lighting starts each burner individually for a reliable start up every time and allows you to light all the burners at the same time. 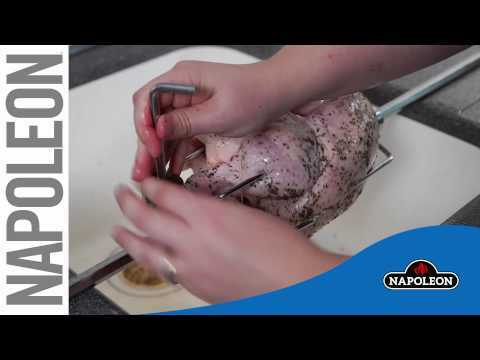 The stainless steel, wave cooking grids create the trademark Napoleon sear lines. The stainless steel, self-cleaning sear plates vaporize drippings, control flare ups and keep your food moist. The LEX485 also has a 13,500 BTU ceramic rear infrared burner for roasting and a 12,500 BTU ceramic infrared side burner. Over 11,000 flame ports on the side burner produce up to 1800 degrees Fahrenheit for optimum searing and locking in juices. The tightly sealed, double-walled hood features an Accu-Probe temperature gauge and retains heat for oven-like performance. Back-lit control knobs make grilling at night easy and clean up is a cinch with the full width removable drip pan. The grill cart features an integrated ice bucket/cutting board, wrap around shelves, condiment trays, stainless steel double doors for storage and easy roll locking casters for moving the grill around. Have a large family and the side burner makes it easy to multi task while cooking. Everyone thought the glow knobs were cool and a great feature once the sun went down. 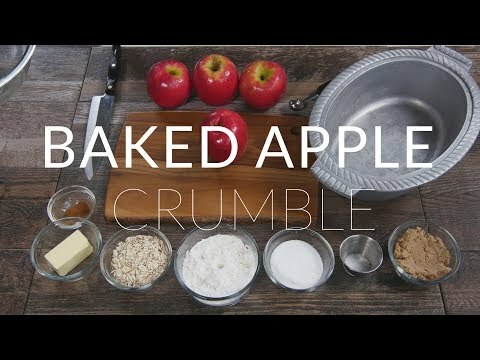 Easy to clean and easy to use. Now just to get a rotiss for it! Replaced a big box store grill with the Napoleon LEX385 and am I ever glad I did. I feel pretty confident grilling anything on the grill before. The seering rack (that I didn't have before) is amazing, never did I think it would make such a difference in the flavor of the meat. Man was I wrong, now I can taste the rich flavors that are trapped inside the meat instead of letting those juices drip into the cavity of the grill and flame away the dish. The blue ligths around the knobs are just a non value added gimmick to me, but everything else is rock solid. Love the cutting board feature that I use an ice bucket to keep the refreshments cold while cooking. Best BBQ I ever bought! I purchased my LEX485 about two years ago. Never regretted my buy once. This BBQ has lived up to its quality and advertised as to be just that. With regular maintenance cleaning is easy and simply.. tons of accessories available makes it fun and ejoyable to cook on Napoleon grills. I've always bought cheap bbq's that only lasted a couple years at most and got tired of having to replace parts and having issues with the BBQ. I've had this one 2 years going on 3 and I haven't had a complaint about it yet. I haven't had to replace any parts and it still looks like I just bought it from the store even after 2 years of heavy use. I also really like the natural gas opposed to the propane I never have to worry about running out of fuel. I know they Napoleon's look like they cost a lot of money but if you really think about it in 10 years I will have probably gone through 3-5 cheap bbq's as to prolly just this one and that's only if it doesn't last longer which in the end would be cheaper and save time not having to assemble a new bbq every few years. Also the rotisserie has made many available meals. I love this grill. Was a bit hard to assemble but you should be able to figure assembly with the supporting documentations. The best part of this grill is the eveness with which it grills . Additionally the radiant heating is aewsome and works great on a windy day. Love it. We think so too! Thank you so much for the feedback. Has lots of bells and whistles. Took 3 hours to put to together. Great delivery service. Need to empty the grease tray about every 5 uses. I had no previous experience with the Napoleon brand, so I was a little nervous. When the grill arrived, there were a lot of pieces to assemble, but it was fairly easy. The grill works extremely well. I'm very pleased with my purchase. Where can I obtain a natural gas conversion kit for this napoleon grill? Hi, DJ! Unfortunately, Napoleon does not offer conversion kits. Hi, Robert! Great question! You'll need to assemble the cart and then attach the grill head to the cart. The grill head will be assembled, you'll just need to remove all the packaging from the parts inside to get it set up. Having a helper is recommended! 27 X 18" 32 1/8 X 19" 28 X 17 3/4" 32 1/8 X 19"